Hola! Tiene agua? No. We don’t have water. Pero tenenos galletas y esmalte de uñas. But we have biscuits. And nail polish. Do you want some? 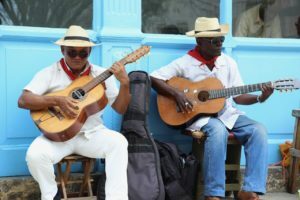 It is impossible to spend time in Cuba without being thoroughly impressed by los Cubanos. They are charming, friendly, well-educated and hardworking. Even though resources are extremely limited, they make do with next to nothing. It’s hard to run a shop when you hardly have any products to sell. But at least there’s biscuits and nail polish. Tomorrow they might be out of biscuits. Cuba is a land of contrasts. On one hand, the level of education is sky high compared to many other countries and people have free access to hospitals and dental care. On the other, salaries are low, averaging $20 a month. It’s impossible to live on, so people get creative in their search for ways to make ends meet. 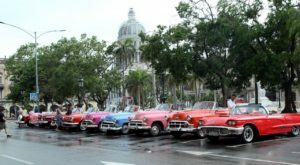 Those who are fortunate enough to own an almendron – a big shiny American car from before the 1959 Cuban revolution – can make big bucks driving the tourists around town. Then again, they need the money to pay off the debt. A restored American classic easily costs $35 000. 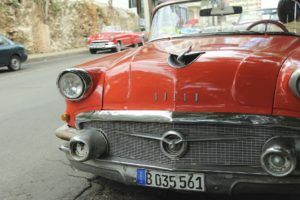 The lucky ones have inherited their cars from their grandfathers, but they still have to maintain them. Some of those cars only have the original bodywork left, the rest is bits and pieces from other cars. The Buick that sounds like a Huyndai may confuse you at first, but you get used to it. Not everything is what it seems like in Cuba. 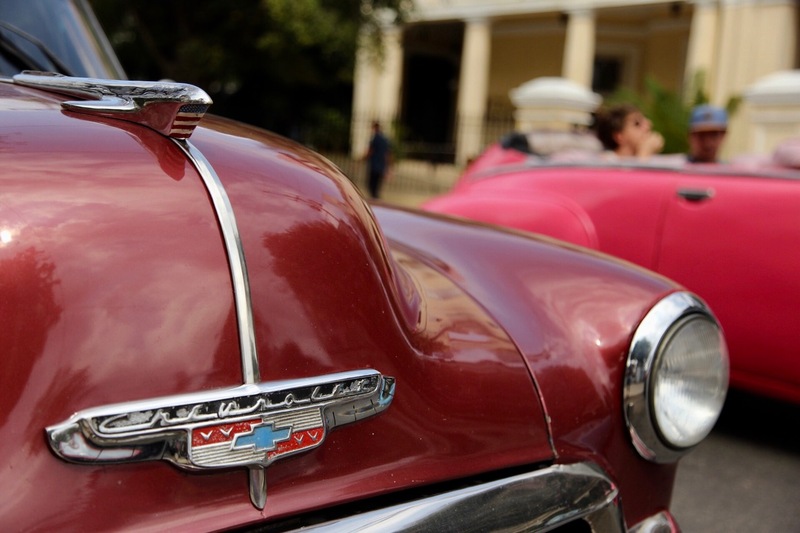 With the collapse of the Soviet Union in 1991 the Cuban economy suffered a tragic blow still to be recovered from. Education and hospital care were still offered free of charge, but soon teachers and doctors left the country and medicine was nowhere to be found. Food was scarce. The will to live and fight is beyond comprehension. Still, many left. Not because they wanted to, but because they realized that the only way they could provide for their family was from across the border of the neighboring countries. Children are left with grandparents, and exiled parents with a broken heart. Hay mucha pena. Yes, there’s a lot of grief. Or you can sing for the tourists. Canta sobre el amor. Of heartache and betrayal. Of vanished possibilities and long lost love. Sing of dreams floating on rafts and hope sinking in the rough waters. Sing of a better tomorrow. Whatever you do, don’t stop singing. I studied the faces of the 59 men and women who had come to our conference on discipleship. They were so excited. And tired. Proud. And humble. It was hard to get a grip of what their daily life looked like. Foreigners who come with money to spend can get hold of many things. 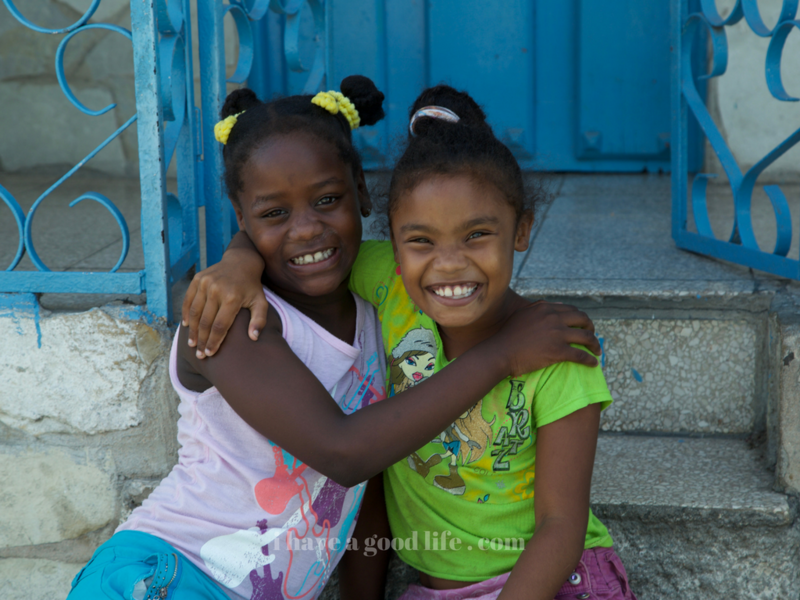 Real life in Cuba is nothing like it. Most of these pastors and leaders were ill after years of malnutrition and hard work. Kidney problems. Liver disease. Lung emphysema. Heart disease. Circulation issues. Grief. Ay, la pena! And still, they dance. They worship. So many times, I cried as I heard them lift up the name of the Lord, shouting his praises, thanking him for his faithfulness, his never-ending love, his mercy. My heart is full. And hurting. Simultaneously. After the teaching they split into groups to discuss what these principles may look like in their local church. They carefully reviewed their study guides covered in notes before eagerly gathering around the blank sheets of paper to write down their plans. Puedo coger dos hojas más? A mis hijos les encanta dibujar. “Can I take two more sheets of paper? My kids love to draw.” I watched my husband choke as he gave her the sheets and asked to see a picture of her kids. I hid for a minute and cried, remembering my own kids and how they have more than they could ever need. La pena! The atmosphere of the room shifted. We asked all the people who were sick to stand up, and for the others to pray for them. There were way more sick people than healthy ones, but soon that changed. As the testimonies began to flow old pastors and experienced church leaders lit up as they gained new hope for Cuba. Siempre llevamos comida a los enfermos, pero ahora podemos orar para que sean sanados! We always bring food to the sick, but now we can pray for their healing, too. And the best thing? No cuesta nada! It’s free! 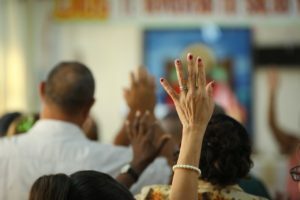 God is moving in Cuba. Pray. Give thanks. And worship the One who’s worthy.